What I wanna know is (and forgive me if this has already been answered and/or is apparent and I've just missed it) is the HG series still in production? Are they still making new characters and/or sets? There are many characters I'd love to see join the HG ranks. 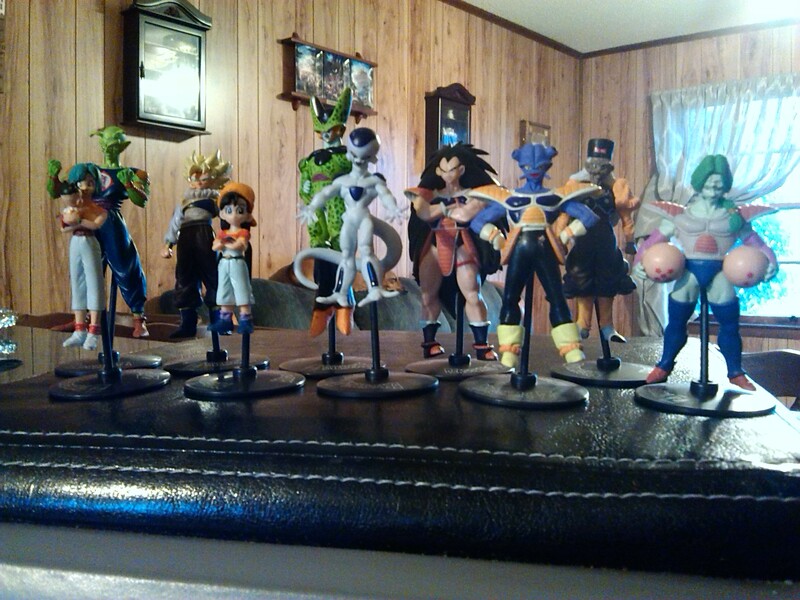 Get hg set 23 off Amazon, it's cheap and in my opinion the best set after the Zarbon, Frieza, Dodoria set you should still be able to find on eBay for about $25. Thanks. I will look into it. But after my initial random purchases, I wanna collect in a linear, chronological way. Woah. Thanks for the tip. One more question - are these figures available as boxed sets or churned out individually from the Gashapon machines? In case of the latter, do the sealed bags have the series' catalog? Any recommended places/Ebay sellers where I can get them? As far as where to buy gashapon, I've always gone with ebay. I've been collecting HG figures since they came out in 2003 and have just gone with which ever seller had the best price, so I can't recommend a specific seller. Like Bran mentioned, amazon is another good place to for complete sets. They only have a few different series available, but the prices are good. Your average complete set for HG figures would probably cost you $30-$40 with more expensive sets running $60-$80. For the more expensive sets (HG 20 part 1 and 2, HG 10, DG 1-4) you may find that buying from Yahoo Japan Auctions, paying for a deputy service and international shipping still might be cheaper than buying from an ebay seller. 1) Are all the series available as sets or do sellers just compile individual figures and sell 'em off as a set? 2) If I buy an individual figure on Ebay, is it rightful to expect the gashapon capsule to be included in the purchase too? 3) HG Set #16: SSJ Gohan as Saiyaman. Does he come with a clear plastic base and a prop? I wouldn't try to collect them linearly, because you need to get what few cheap sets still exist before you can't find them cheap anymore. The Zarbon set is still probably the lowest price set still highly available. I almost never end up with the capsules unless the seller has them in the pic. They're basically just garbage anyway, so don't let them influence your buying decision too much. You're better off buying them as a set because individual figures are typically listed for dumb prices like $15 each, and with some patience, good searching, etc. you can get most sets for $25 to $40. I'd like to expand a bit on some of those subjects. Gashapon is a trade mark brand owend by Bandai, this applied to a capsule toy sold in a Capsule-Station vending machine. The figure inside is sealed, and include a Ghasa penflit of the set, which usually contain an advertisement to another series as well. In the UDM series for example, in every set there is a chance to get one bigger figure, so the Capsules aren't all necessarily the same. A capsule of an unassembled HG EX figure can definitely fit through the machine, the claim about the new releases featuring a new sculpt make no sense. For the Hong Kong released, from my personal experience, my HG figures that came from Japan look a bit better than those that come from Hong Kong. 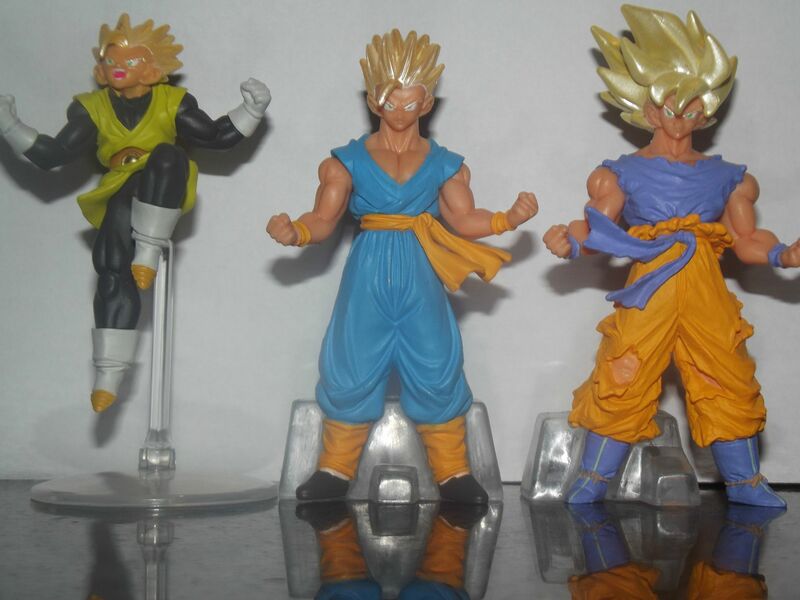 The Hong Kong sellers might buy the Gashapons directly from Bandai (Which possible for the Banpresto crane-machine prizes, according to a Japanese contact), or just empty the machines to form sets to sell. I'd recommend getting some of the more common sets from possibly some of the Hong Kong sellers on Ebay - part 13, part 16, part 22, part 23, Most of the HG Plus releases, and both of the SP Repaints - Which the price range on those should be about 20$-25$. More rarity sets for example would be part 20, part 1, part 2, the Digital Grade releases, and Hybrid Grade. The original Capsule Station price of a blind HG figure is 200 yen, therefore some of those are being sold as low as under 100 yen in Yahoo jp, and locally at collectible stores in Japan. I got most of my HG's from a Japanese friend, for about 3$ per HG. More sought-after rarity characters can be as high as 20$-150$, like the HG EX Dore, Neiz, and Broly. Thankfully, Dore and Neiz from Coolers Armored Squadron are getting a repaint re-rleases this year. 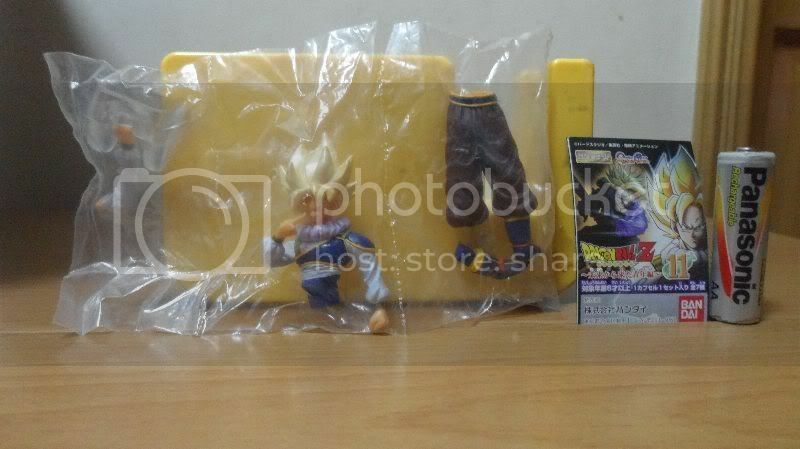 (I hope that the Broly will see a re-release as well, it is a really beautiful piece - but I can't see myself droping around 100$ for a single Gashapon with all the things that I have on my plate,especially when there are way cheaper alternatives for an HG-scaled LSSJ Broly, and a chance for a re-rlease in the future). In addition to the really cheap bootlegs, mounted on rods, there some DG bootlegs as well. They don't come with a stand, and have relatively crappy paint jobs and detailing, but still better than the mounted bootlegs. This is very similar to the Banpresto Mask Collection having the Black variants in each blind box, the Unifive posing figures having the gray variants, The Soul Hyper Figuration Gray variants, and The Megahouse Capsule Neo Bronze Variants. It is a marketing technique in the trading figures market, having collectors buy more blind boxes\ to accommodate for the variants- Some collectors try to collect full sets of the variants as well. 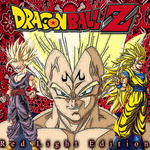 All of those sets include the monochrome variants, they arrive with a black podium with a writing "Dragon Ball Z HG", and connectors parts to connect between the podiums. 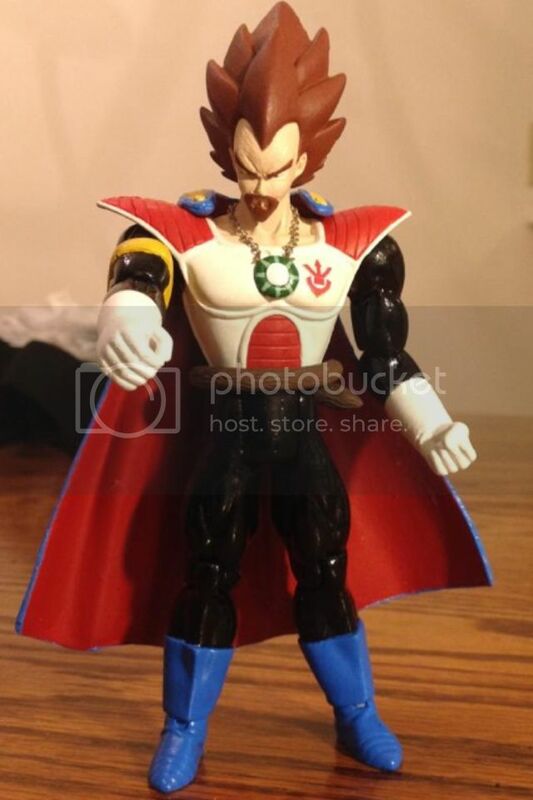 Super Saiyans are gold, Non-Super Saiyans are bronze. I don't know for sure, but I had assumed that HG series had ended. The last full HG set, HG 23, was released a few years ago. Recently, though, Bandai put out a HG Special series which was a combination of previously released HG and DG figures. 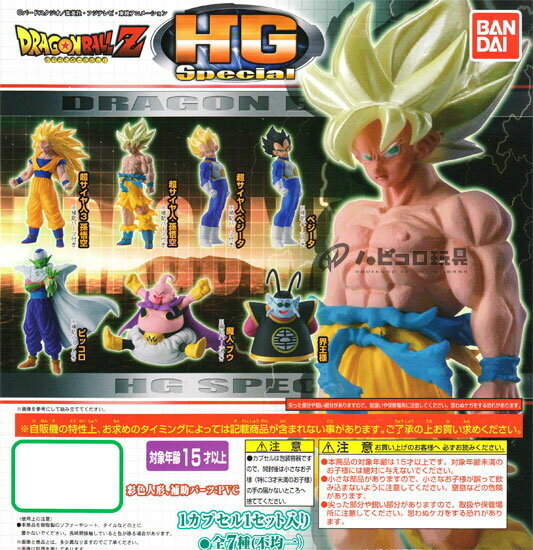 M5 posted an image, located on the first page of this thread, that show Bandai is re-releasing Dore and Neiz from the HG EX line under the heading "HG Special DragonBall Z Movie Edition". That shows that the HG line is not entirely dead, but not being released nearly as frequently as it was (about 3-4 new waves a year). Although we have only seen four of the figures from the upcoming 'HG Special Movie Edition' (usually there are 6-8 figures per series), to me it seems that because that series and the HG Special are comprised of previously released figures, it is unlikely that we will get new figures from HG line. @m5jagdragonpanzeriv - Awesome job on the info. Incredibly informative, as usual! 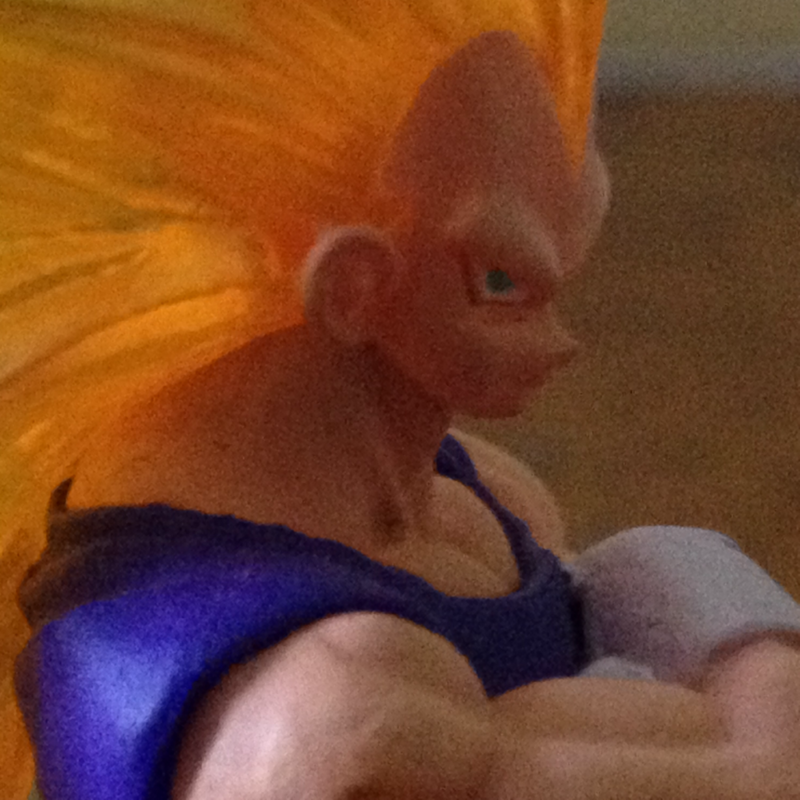 burdocksan - Yes, HG 16 Gohan comes with the clear base with prop. I understand the logic behind it and while I'm slowly getting the ones available for cheap at the moment, I'm also keeping an eye out for the old, rare ones and if they ever do come by, they take priority. I don't mind the absence of capsules too but imo, they add a sense of appeal in their very own way and so if it's included, it'll soothe my completist itch! What's your symbol? I need to wear it on my gi! Those bootlegs make me wary a bit too much. I'm planning a trip to Tokyo sometime later this year. If it pans out as planned, I know the first place I'll visit. Thanks again. Just wanted to confirm. I also had the urge to own every single figure from this line but considering the cost and the number of doubles in the series I have focused on the figures I want most. I'm not sure if any of the sets are rare besides the EX set. Maybe cracker or @m5jagdragonpanzeriv might know? I think for the most part they are readily available online and you can go ahead and purchase them in whatever order you prefer. I always like to get the pamphlets that come with the figures. If you are very concerned about bootlegs having the pamphlet included may give you a sense of comfort. I am very excited about the upcoming HG release! Unfortunately it looks like there won't be any new sculpts, but I will hold out hope. There are still characters I would like to see like Kami. f! The detail is just insane. Thanks for sharing. Has anyone heard any news re: the 2014 HG special movie edition? I need Neiz and Doore!!! I still want to get that set if it ever comes out. I'm waiting for the same too. The last set (HGR) was released in October 2013, so I'm thinking that the Special Movie Edition might be in the last quarter of the year as well. Guys, what's that Goku in the solid acrylic case?? Hg gashapon, soul of hyper and s.h figuarts. enough said. 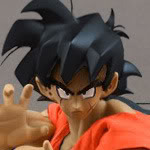 Hey guys, so is there still no new news about any dragon ball z gashapon figuers coming out this year? Or next year? I really want to know. Haha. Thx guys. 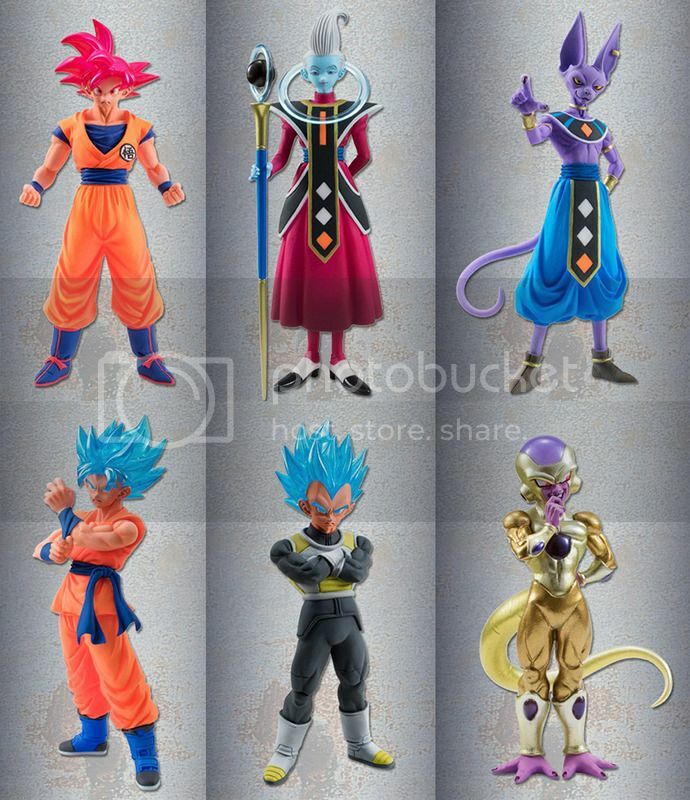 Looks like the Battle of Gods HG figures are finally getting a release, along with a few Resurrection of F characters. Don't know an official release date, but one site had pre-order with release in September 2015. I still haven't seen anything about the re release of the Cooler Squadron figures, though. 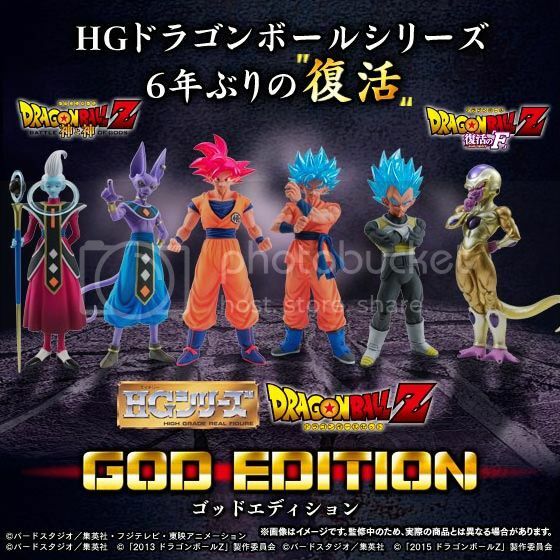 Edit: I just read that, as of now, this HG God Edition set is not going to be a regular gashapon release. You have to pre-order the set before June 30 and it goes for ¥7,560, roughly $65. Hey thank you for posting the new HG set. I saw it yesterday on some other site. So you have to pre order them before june 30th? Does anybody know whete i can pre order them tho? Because they are going for over $100 on ebay and thats kind of ridiculous. So does anybody know where we can pre order them besides ebay? I really appreciate any help. Thank you. What is the series that is in the Gasphapn machines in Japan right now? Does anyone have a picture?